It would be hard to point to a field more exciting and open-ended right now than 3D printing. New developments are coming at a rapid pace, even as the cost of the technology plummets, making it available for consumers. This is a time when it’s hard not to let your mind run with possibilities: instant manufacturing, delivery on demand, an automated gourmet chef in your home, maybe even recreating living human tissue. Could 3D printing change our lives even more than the internet? So what are we waiting for? As much as we would all enjoy the revolution now, there are a few major hurdles engineers will still need to overcome. These are the challenges that currently limit 3D printing, and the issues that will need to be overcome before some of the greater hopes for 3D printing can become reality. More complex objects require many different materials. Just walk around your house and notice the many different metals, plastics, ceramics, and textiles that are used to make different objects. Even now, 3D printers can use a large number of different “inks” installed just like laser toner cartridges. These include many plastics, most metals, and even challenging materials like glass. But before your next computer pops out of the printer many other materials need to join the ranks. Most importantly, today’s printers are limited on the number of materials they can use simultaneously or how intricately they can be used together. This leads to the next limitation. Most people are well acquainted with the concept of resolution from their digital camera or from traditional printers. It simply refers to how finely you can control the tiny dots that make up an image. 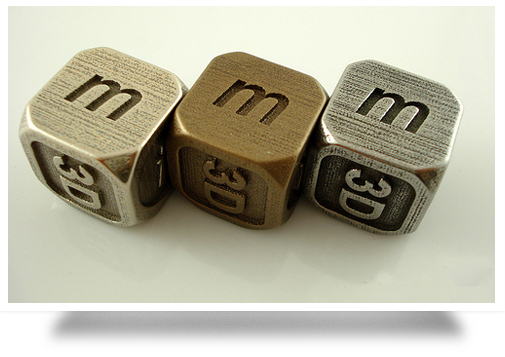 Likewise, today’s 3D printers have a very high resolution to which they can separate colors in a printed object. But besides being able to use multiple materials, 3D printers would require much higher resolution to print even the basic circuit boards that underlie simple consumer devices. There is no reason to think that this won’t come with time, but there is also plenty of progress that must be made. One limitation that is almost indistinguishable from resolution or Dimension is the issue of scale. Here, the issue is not merely how to separate one “pixel” from another, but actually how to make print heads that are even small enough to control these distinctions. Circuit boards are now becoming so intricate that electron pathways are scarcely larger than one or two atoms across. Will 3D printers ever produce on this level? No one would have predicted the development in the circuit boards we rely on daily, but 3D printing certainly has a very long way to go in this regard. On the opposite extreme, some technologists have suggested that buildings might be printed using additive technology. This application is already developing. Price is about as practical as it gets, but it is also where progress is already happening most quickly. You may be bringing home your own 3D printer sooner than you think! Previous: Anonyupload : Anonymous Launched an Alternative to Megaupload?